If you’re worried about heart disease and other chronic conditions, perhaps wishing to tweak your lifestyle to minimise any risks, it’s pretty obvious where to start. Governments everywhere are translating the mountains of gold-plated, peer-reviewed, double-blind scientific publications into user-friendly guidelines. A low-fat lifestyle is clearly the best way to reduce ‘bad’ (low-density lipoprotein or LDL) cholesterol sufficiently to keep safe and live a long, happy and heart-healthy life. And even though there’s no way to reverse heart disease or atherosclerosis, there are plenty of safe and effective drugs to help people, including that modern medical miracle, the statins. Right? Wrong. Or at least, incomplete and out of date. Although still regarded as mavericks by their more conservatively minded colleagues, more and more heart experts are questioning either certain components or even the entirety of this received wisdom. Dr Dean Ornish is Clinical Professor of Medicine at the University of California in San Francisco, USA. He is also founder and president of the non-profit Preventive Medicine Research Institute. His research, published in some of the world’s most prestigious medical journals, demonstrates conclusively that comprehensive lifestyle modifications can go way beyond simply reducing the risk of heart disease – they can actually reverse atherosclerosis. Motivating people to comply with their newly healthy diets and lifestyles long-term is, of course, a quite separate issue. Although Dr Ornish’s methods are known to result in 1-year compliance rates of 85–90%. It was the Lifestyle Heart Trial that helped give Dr Ornish’s ideas some significant attention when it was first published in 1990, with long-term results following in 1998. The trial recruited 48 patients with moderate to severe coronary heart disease, meaning that their coronary arteries had some degree of narrowing, or stenosis. The subjects were then randomly allocated to receive either a comprehensive programme of lifestyle modification – “10%-fat vegetarian diet, moderate aerobic exercise, stress management training, smoking cessation, and group psychosocial support” – or usual care (i.e. moderate lifestyle changes, prescription drugs and surgery), and were followed-up for a total of 5 years. The results were revolutionary: while stenosis in the usual-care patients worsened considerably over the study period, not only did stenosis fail to develop further in the lifestyle modification group, it actually improved significantly! In terms of risk factors, the experimental group lost far more weight than the usual-care group, and although LDL cholesterol levels were similar after 5 years, this was only because the usual-care group took lipid-lowering drugs for most of the study! 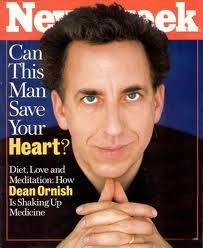 Discussing the Lifestyle Heart Trial, Dr Ornish said, “The primary determinant of improvement was neither age nor disease severity but adherence...the more people changed, the better they got.” So undeniable were the results that the ‘Ornish Spectrum’ eventually became the first integrative medicine approach to be reimbursed by the US Medicare system. And it’s not just heart disease: Dr Ornish has achieved similar results in patients with prostate cancer, type 2 diabetes and depression. In a sane world, Dr Ornish would be a household name. However, in Europe at least, his work remains low profile, with prevention barely on the agenda of the cancer establishment and the chronic killer diseases that are proven to benefit from his approach on the rise worldwide. Meet Walter Willett. 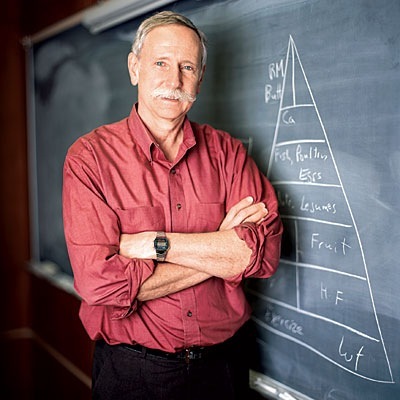 This impressively moustachioed gentleman is the Fredrick John Stare Professor of Epidemiology and Nutrition Chair of the Department of Nutrition at the Harvard School of Public Health, and is the author of Eat, Drink and Be Healthy and the textbook Nutritional Epidemiology. He is an author on an immense number of scientific publications. Willett’s glittering career in epidemiology, in which he has teased out potential connections between diet and disease, has left him with very little time for the US government’s MyPlate recommendations. 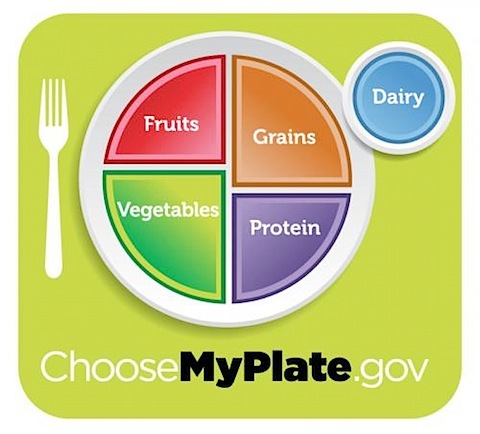 “Unfortunately, like the earlier U.S. Department of Agriculture (USDA) pyramids, MyPlate mixes science with the influence of powerful agricultural interests, which is not the recipe for healthy eating,” explained Prof Willett. 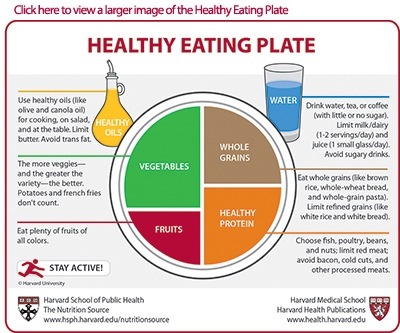 In fact, the shortcomings of MyPlate so incensed Willett that his Harvard department published its own alternative: the Healthy Eating Plate and food pyramid. 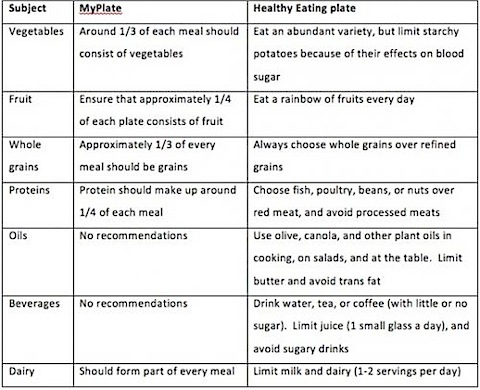 The major differences between MyPlate and the Healthy Eating Plate are summarised in Table 1. Table 1. Comparison of US government MyPlate recommendations and Harvard’s Healthy Eating Plate. When such an eminent scholar and head of department at one of the USA’s premier universities feels the need to go into effective competition with his own government, on the very topic to which he has devoted his life, one has to wonder about the state of nutritional advice in that country. Why was Willett’advice not heeded in the MyPlate recommendations? What level of vested interests must have come to bear in order to skew MyPlate so heavily away from the science and in support of the big processed food players in the market? And how many people will go on to ‘mysteriously’ develop heart disease and other chronic conditions after adhering strictly to MyPlate, all the while wondering what on earth they did wrong? Dr Dwight Lundell would have a slightly different answer to that question. He is the latest of an increasingly long line of orthodox heart specialists who are questioning the merits of the long-cherished lipid hypothesis. The real, underlying problem, the new wisdom suggests, is not with fat or cholesterol intake but with inflammation – and traditional enemies like cholesterol and saturated fats might actually be the heart’s best friend. In monitoring a person’s risk of heart disease, focusing attention on cholesterol is increasingly looking like a red herring. There are now studies, such as one led by Dr Paul Ridker published in the New England Journal of Medicine, that show that as many as 25% of subjects may be quietly developing heart disease while having completely normal cholesterol levels. What this, and many studies since, have shown is that C-reactive protein (CRP) is a very important marker for inflammation, and that this marker is consistently raised in people developing heart disease. There are two tyes of CRP tests that can be done, and it is the high-sensitivity CRP test, often denoted as hsCRP, that you should opt for. The problem is, most medical doctors don’t routinely run this test. Integrative medicine docs like Dr Andrew Weil rightly argue that a hsCRP test should be run each time a cholesterol test is carried out. But how many doctors are really interested in prevention? Could Dr Lundell be correct when he says that, “The long-established dietary recommendations have created epidemics of obesity and diabetes, the consequences of which dwarf any historical plague in terms of mortality, human suffering and dire economic consequences”? Are even trailblazers like Dr Ornish and Prof Willett on the wrong track with some of their advice, especially when it comes to avoiding saturated fat – even with hundreds of scientific publications between them? This intriguing question becomes even more complex when viewed in light of the conclusions of a recent expert panel that included Willett. And, of course, Dr Lundell isn’t alone in his opinions. The role of cholesterol in heart disease has been questioned by authors such as Dr Malcolm Kendrick and Dr Uffe Ravnskov; organisations like the Weston A. Price Foundation (WAPF) have long railed against the ‘cholesterol is bad’ theory; and rejection of the lipid hypothesis is at the core of the ‘paleo diet’, which has been highly successful in treating certain ‘incurable’ medical conditions. 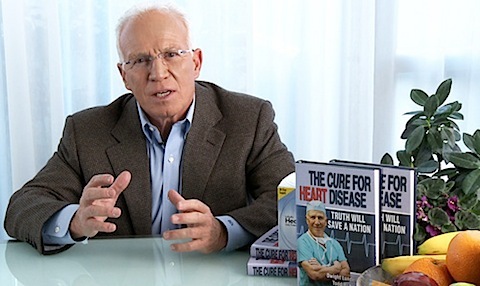 Enter Loren Cordain, PhD, the most widely published of the paleo diet mavericks. 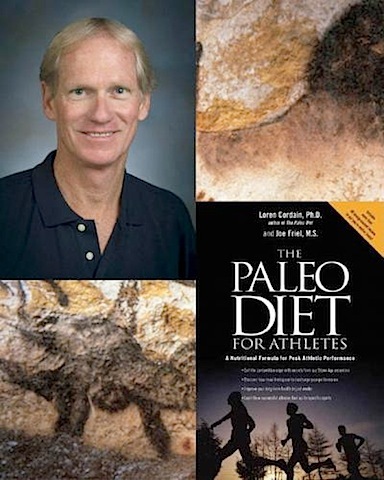 Loren Cordain, PhD – did the cavemen know more than us about diet? So closely associated is Lauren Cordain with the paleo diet that the very phrase is trademarked on his website. According to PubMed, he has published 60 papers, many of them on paleo diet – from the biochemical and physiological consequences of following the diet, to evolutionary and historical perspectives. Cordain has also written several books on the topic. The latter point arises because both have been added to the human diet since we adopted an agricultural lifestyle – very recently in evolutionary terms. 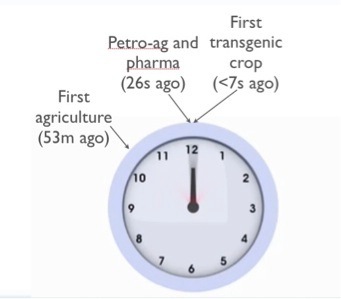 If we consider the totality of human evolution as a 12-hour clock, as shown in Figure 1, we developed agriculture only 53 minutes ago! Therefore, we are not genetically adapted to effectively utilise these foods. Could this explain why such a huge percentage of people are lactose intolerant, and why so many people are developing obesity and related illnesses, such as type 2 diabetes, on the modern high-grain diet? Figure 1. The evolution of Homo sapiens as a 12-hour clock. And that, in a nutshell, is it! A key plank of the paleo diet is that saturated fats are not discouraged, on the basis that it’s not LDL cholesterol that’s responsible for atherosclerosis and heart disease, but oxidised cholesterol. And what oxidises cholesterol? “High-glycemic load foods, vegetable oils, refined sugars, grains, legumes and dairy,” along with other factors such as smoking, lack of exercise and high alcohol intake. A question frequently levelled at paleo diet advocates is: why should I eat like a caveman, when they lived such short lives compared with our own? As Cordain explains, ancient hunter-gatherers tended to die because they were killed by predators, accidents and infectious diseases, the inevitable dangers of active outdoor lives. Their societies were almost entirely free of the modern scourges of chronic, degenerative conditions like cancer, obesity, type 2 diabetes and cardiovascular disease. The many adherents and promoters of the paleo diet don’t agree on every detail, but the facts are that it is both increasingly popular and credited with many health benefits, from weight loss and blood sugar control, to improvement in cholesterol and blood lipid levels, and reversal of multiple sclerosis. The paleo diet is also a powerful indication that there is more to heart health than simply adopting a low-fat lifestyle. Science is constantly in flux, none more so than nutritional science – something we wish the European Food Safety Authority (EFSA) would recognise! It presently seems clear that avoiding processed foods and trans fats, eating plenty of fresh and ideally organic fruit and veg and getting regular exercise are vital for preventing heart disease and other chronic conditions. A radical shift in lifestyle can even reverse these conditions, consistent with the incredible self-healing powers of the human body. The true role of cholesterol, saturated fats and animal fats in chronic disease development is increasingly under scrutiny, however, and it may not be long before we see some significant changes in what scientists consider the optimum disease-preventing diet. Whether that will ever be widely reflected in government guidelines remains to be seen. With all the copious evidence for lifestyle transformation, and lip service paid to it by the World Health Organization, European Commission, National Institutes for Health (US) and other major health authorities, isn’t it staggering that drugs are still first-line therapy for these diseases – yet have done little to curb the epidemics? At least those of us armed with knowledge of what to do can make the appropriate choices. Please share this article widely, especially to those you know who have not been exposed to this kind of information!